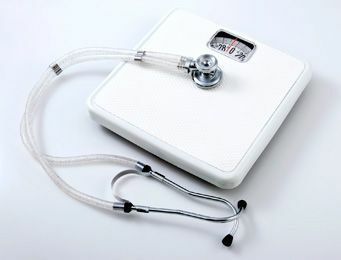 Medical Weight Loss At Vitality Med Spa, we’ve helped thousands of clients to lose weight. Medical Weight Loss combines prescription medication, healthy diet, exercise and diagnostic testing to determine the best route for successful weight loss. We have found that there is no one size fits all regimen that works for everyone. Therefore, we provide customized treatment plans for each person individually. Our first steps involve a consultation to determine your goals and prior set backs. From the information obtained in consultation and a detailed medical history, we can start to make assessments about what is going on inside your body. We then utilize multiple different diagnostic tools to help us determine if there are any hormonal imbalances, thyroid dysfunction or any other abnormal issues that may be causing difficulty losing weight. For most people, aging can cause a slowing of the metabolism and can be adjusted rather quickly. For others, it’s a hormone balancing act and once we balance hormones, we notice dramatic changes and improvements in multiple areas including weight loss, better and more restful sleep, improved libido and sexual health, increased cognition and memory and overall better moods. We specialize in medical weight loss and have multiple different offerings ranging from hormone balancing, hCG injections, B12 Lipotropic Injections, Prescription Appetite Suppresants and Physician Only Pure Supplements. We typically see about 15-20 lbs loss per month with our all inclusive hCG weight loss plan which is the new, improved plan as seen on The Doctors. Please call to schedule your consultation today and get on you way to being the Best version of you. Vitality Med Spa Health Fair with Guest Speaker Ty Peterson, AntiAging, Weight Loss and Hormone Expert as well as several local speakers from the Health and Wellness Arena happening January 25, 2017 from 6-8 pm at Vitality Med Spa.